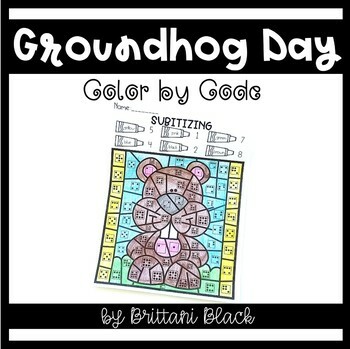 Are you looking for activities for Groundhog Day? 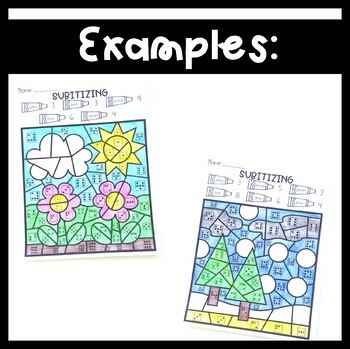 Do your students need practice with subitizing? 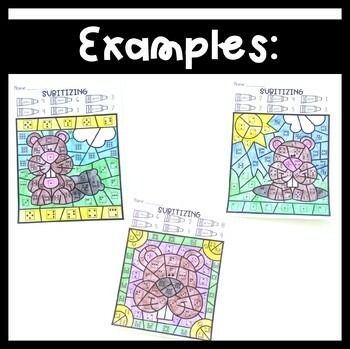 Your class will LOVE these Color by Code worksheets! 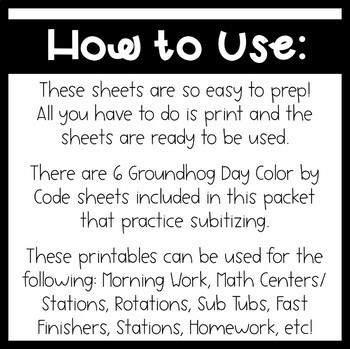 *6 Groundhog Day Color by Code worksheets that practice subitizing (numbers 1-9). Before purchasing, you may want to view this in my HUGE money saving bundle available here.